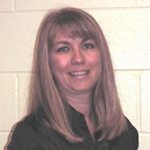 Mollie Pouska has been a Social Worker for Madison Adoption Associates in Illinois since 2008. She holds undergraduate degrees in Deaf Education and Special Education. She has been a teacher educating students with multiple disabilities since 1994. In May 2003, she received her Master Degree in Social Work from Aurora University and became a Licensed Social Worker in 2004. Mollie relishes the opportunity to support families through the home study process and is ecstatic about meeting with the families and children to facilitate the post placement visits. Her experiences in special education provide a unique perspective with those families interested in adopting children with special needs. Mollie is married and has two daughters. She enjoys traveling to the Northwoods of Wisconsin and volunteering for Special Olympics.